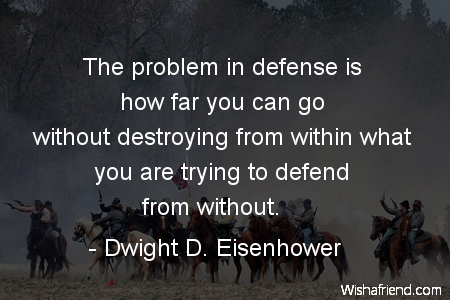 Dwight D. Eisenhower Quote: The problem in defense is how far you can go without destroying from within what you are trying to defend from without. Browse our collection of War quotes and sayings. Share War quotes with friends and family.